Local photographers share their advice for couples taking wedding photos in New York. Congratulations! The energy, excitement, and beauty of an NYC wedding make for a fantastic wedding day and amazing memories that you’ll treasure for years to come. And one of the best ways to cherish those wonderful memories is with great wedding photos! However, taking wedding photos in New York City is a unique experience, one that can be intimidating for many couples trying to plan their big day. That’s why we’ve rounded up our best tips for taking great NYC wedding photos. Before you go making big plans for where, when, and how to take your NYC photos, ask your local wedding photographers for advice! As experienced New York wedding photographers, they’ll have plenty of important input on places to avoid, spots you don’t know about, tips for taking photos by the windy waterfront, suggestions for getting everyone in the wedding party from location to location, thoughts on when is a smart time to visit certain attractions, and more. 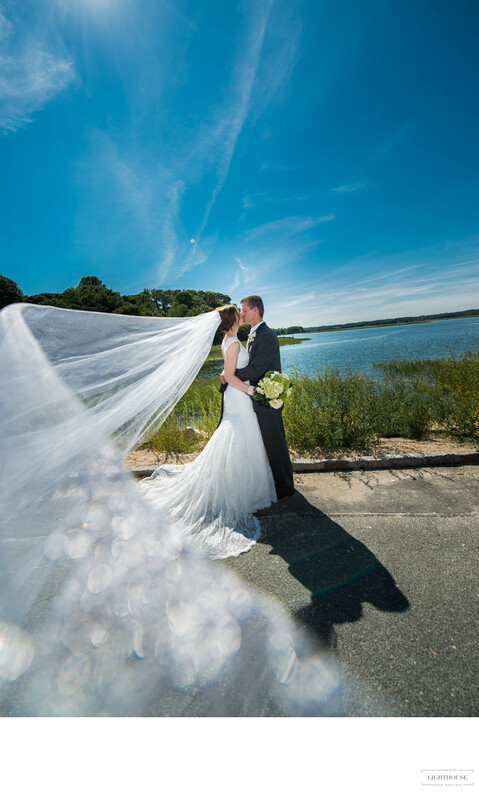 Local wedding photographers aren’t just photo pros, they’re New York pros! Use them as a resource for planning your wedding day photos, and the whole process will go much more smoothly. While your wedding photographers are a great resource, you probably won’t want to leave everything up to them — and you don’t have to! After all, this is your big day, and you want to feel prepared for it. To ensure that you can get good wedding photos, ones that you’ll enjoy both taking and treasuring for years to come, we’ve rounded up some of our best NYC-specific photo tips. Posing for good wedding photos comes down to a mixture of staying relaxed and comfortable while still being willing to try something new and play around a little bit. Your photographer may suggest poses based on factors you can easily see, like how many people are in the group, and things you might not realize, like the angle of the sun or how windy the day is. Keep an open mind and try out what they suggest, especially if they’re trying to fit a lot of people into frame or deal with crowds at your photo location. However, you should speak up if you have specific poses you want to do or photo groupings you want to be sure to capture. And you should always say something if a pose feels uncomfortable or unnatural to you! Ultimately, you want to feel like a very special version of yourself when you are posing for wedding photos, and your wedding photographer is there to help you make that happen. One struggle for taking wedding photos that is specific to New York City is the constant crowds! Many popular photo spots are also popular tourist destinations, or they may be favorite places for locals to hang out and mingle. Especially if you have particularly beautiful weather, you may find yourself trying to plan your photos around crowds of people. 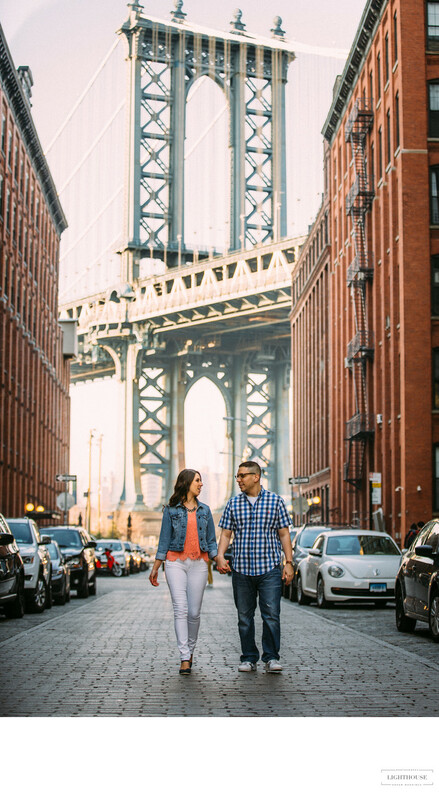 To deal with NYC crowds while taking your wedding photos, start by trying to select photo spots that are a little off the beaten path [link] or visiting popular destinations during low-traffic times of day. If there are crowds where you want to take photos, designate either one or two people to be in charge of keeping passersby out of photos or (politely!) asking people if they could step aside for a moment. In general, you’ll find that most people will be happy to accommodate your group as long as you are considerate of their time and space. By designating someone else, you’ll minimize your own stress, and when the same person does it multiple times, they’ll feel more confident interacting with strangers or other groups. Giving this job to a photographers’ assistant, or wedding planner is especially helpful, as that person can then act solely in a professional capacity, leaving you, your family and friends, able to focus on the photoshoot. One of the keys to taking great New York wedding photos is to be careful about the photo spots you choose. Because of factors including traffic, travel time, crowds, and light — not to mention creating photos unique to your special day! — certain iconic locations may not actually be a good choice for your wedding day. Your photographer should be able to suggest locations that will help you capture the energy and style that you want. And if you need ideas, we’ve got a ton, including places to go in Central Park [link], spots in Brooklyn [link] or in Queens [link], and creative places to take photos [link] that aren’t iconic New York landmarks. If you’re getting married in The City That Never Sleeps, you’ll probably want to sneak out of your reception for a few nighttime photos! 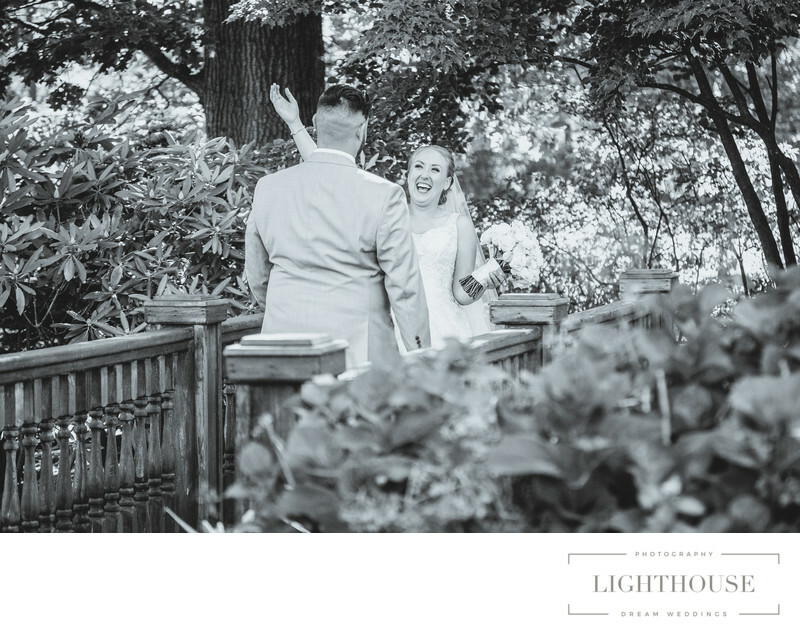 Whether you find a spot to look out over the water, catch a glimpse of the Manhattan skyline, or enjoy the lights of Brooklyn, night time photos are practically a must for an NYC wedding. They can also be tricky to capture! Your wedding photographer will be able to handle the technical side of things, including choosing spots with good space, views, and light. However, you can help the process by communicating what type of nighttime photos you want to have so that they can plan in advance where and when to go, as well as how long you’ll need for the photoshoot. Posing at night can be a little different than posing during the day. You may need to face different directions, hold poses for longer, or stand in spots you wouldn’t otherwise. By choosing a local photographer that you trust and communicate well with, you’ll be more lightly to get good nighttime photos that capture the energy and magic of your NYC wedding. Choosing a New York wedding photographer, but not sure how to pick the right one for you? It’s an important decision that impacts not only your special day, but how you remember your wedding for years to come! We break down the reasons to hire a professional photographer [link] plus how to find and choose someone local [link]. And please feel free to get in touch here [link] with any questions you may have!